Can you tell I have an obsession!? I picked up this beauty of a blush at IMATS from the MUFE stand. 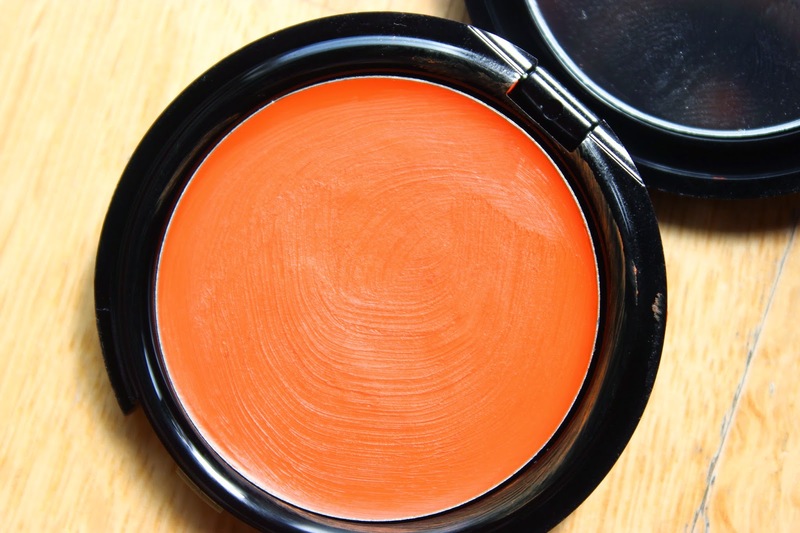 515 is a gorgeously vibrant orange cream to powder blush. 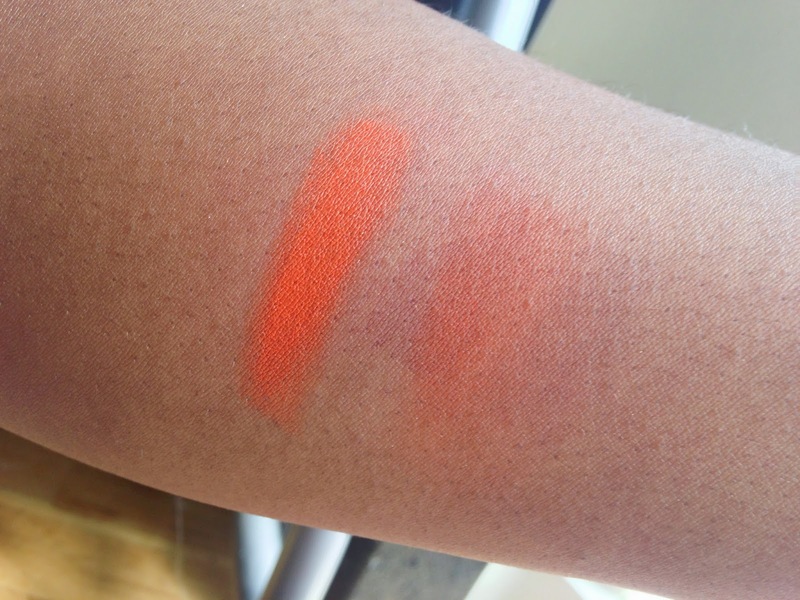 Upon swatching, this colour is terrifying, I mean this is BRIGHT, however applied lightly with your fingertips (or a stiff foundation brush) and blended into the skin this exudes such a natural warmth, I am genuinely in love with it! As this turns into powder on contact it is so easy to blend it’s unreal. 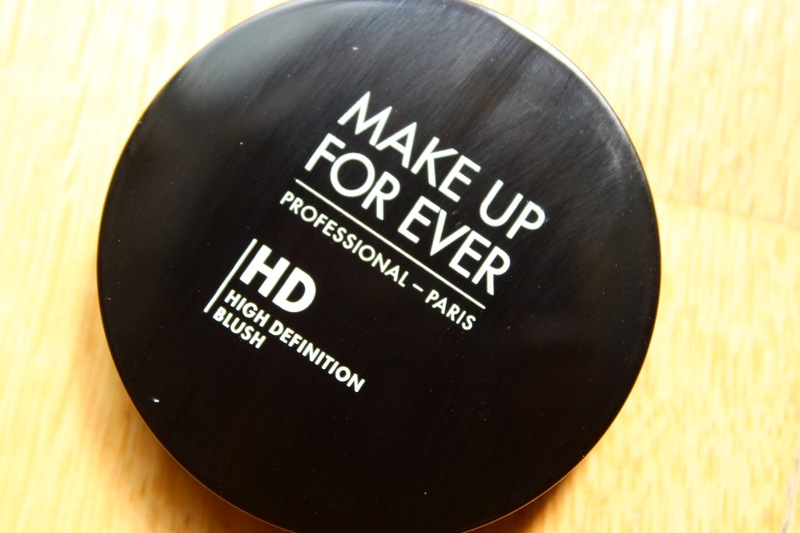 I’m usually quite hesitant about cream to powder products as I’m always worried about blending or chalkiness but I needn’t have worried with 515! In regards to “second skin” yeah, I can see why this has been labelled as such, it is so light you do not feel it on your skin. I mean, this is just a comfortable product to work with from application to wear time! I picked up 515 from IMATS however if you live in the UK you can pick up 515 and other Second Skin Cream Blushes from PAM. It is stunning! I know you share my orange blusher love!!! 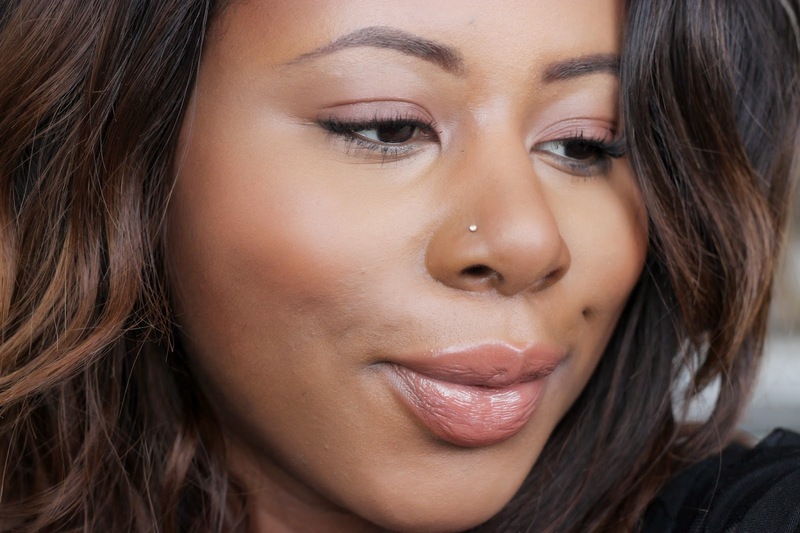 I normally just use the tips of my fingers to apply the product to my cheeks and then blend out, it's a lot easier with cream to powder blushers. Love that it's a true orange without peach or pink. Can't wait to try it out.